Awesome! 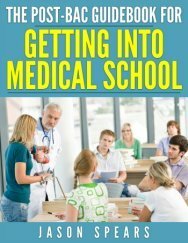 You landed a medical school interview... now what? 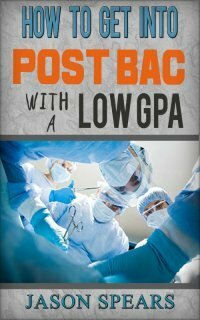 Let me help you avoid any and all mistakes that can totally kill any chance you have of getting into medical school. Seriously, you should be proud if a med school has sent you an interview. They don't just send interview invites to everyone. AdComs are flooded with way too many applicants than they can possibly review. So if you're invited to an interview start jumping for joy and get ready for your White Coat. AdComs only bring in applicants who are "good enough on paper" to be admitted. This means your stats made their cutoff, your personal statement worked along with your secondary apps. At this point the medical school just wants to know if you are a good fit for their school and to determine if you're normal. Gotta, remember you are going to be treating patients in the future so you can't be socially awkward. Seriously though, once you make it to a medical school interview it means the school is willing to accept you as long as you don't mess up on your interview. They won't bring you to a medical school interview if you don't have what it takes on paper to be a good doctor. One of my buddies from undergrad applied three times to medical school. Finally, on his third attempt he reached out to me for help with getting admitted. Apparently, for the last two application cycles he would make it to interviews but ultimately the schools would say, "No." This told me my buddy Peter was having a problem with interviewing. You have the MCAT score, GPA, PS and secondaries but you can't sell yourself to adComs. If you can't make the strongest case of why you should be admitted over the other 120 students interviewing that week then you might as well kiss goodbye ever being a medical student. All you have to do at your interview is show you're a normal person and you will get admitted to medical school. Honestly some of you are quite awkward and just don't have good ad lib skills. I've seen students freeze up and look like a deer caught in the headlights when asked a tough question or go through a bout of stuttering filled with a truckload of "ahs" and "umms" that clearly did not help their case for making it beyond the medical school interview. Even your posture and demeanor matters. This may come as a shock to you but I used to work as a nurse recruiter after undergrad. So I've sat on the other side of the table and know what makes for a good or bad applicant. It's very obvious. If you want to come across as a confident, knowledgeable and must have applicant then we need to work together. Trust me you are going to be amazed at what I'm going to uncover that is holding you back from being an applicant who adComs drool over. I'll be sure to tell you something as simple as eye contact is lacking or how to buy yourself time on a tough question without the interviewer even knowing what you're up to. And you're absolutely going to fall head over heels when I show you how to flip the interview around and put yourself in the driver's seat with three questions that I guarantee will ensure you leave a lasting impression. When you do this there's absolutely no way your interviewer will ever forget you. And an applicant who is remembered is one who gets an acceptance. We set a time to talk via Skype. During our session I will have school specific questions for you to respond to. Plus general questions that typically stump students so I can see how you respond under pressure. From there I'll have a really good idea on the next steps for us to take during our Skype session along with providing valuable feedback and giving you strategies to work on before your medical school interview. And of course, if you have any particular issues you'd like to work on during our session I will certainly do that for you to ensure you're the strongest interviewee. Very simple, submit your payment below by clicking the "buy now" button to get started with mock medical school interview coaching. This is the last hurdle between you and your White Coat so don't take any chances go ahead and get started now.